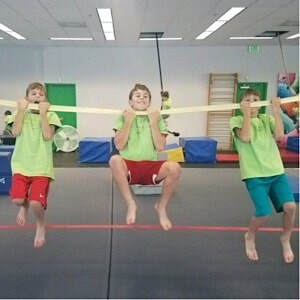 We are excited to offer RMCS Spring Break and Summer Camp full of fun and enriching activities for children. 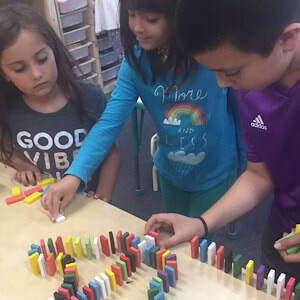 Crafts, cooking, building, art experiences, and walks, and field trips may be complemented by our nurturing and balanced Montessori philosophy of freedom of choice, independence and group fun. You don't need to sign up your child for every Camp Day; just pick and choose the days that work for you. You don't even need to sign up your child for full days because we offer half-day rates. If your child has had an interest in River Crew activities, then the half day is a perfect way to allow them to experience some of our fun! Join us in River Crew for Spring Break and Summer Camp 2018! 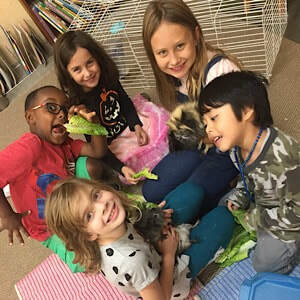 SCHOOL BREAKS: ​In addition to the expected fun and enriching activities at River Crew, additional school break activities include walking field trips to Ellis Creek or Shollenberger (weather permitting), field trips to Bounty Farm, Adventure Recreation, and Wiseman Airport Park, and on-campus activities involving cooking food for lunch and special guest Clementine the face painter! A camp packet will be distributed in advance of each school break/camp. Please make sure to review it completely, sign, and turn in observing requested deadline. *REMEMBER, be sure to sign up for Camp by the requested registration deadline. Weekly Camps run Monday-Friday, 8-5pm. During the summer, extended after-care hours are available from 5-6pm for an additional $12/day (pre-registration required). ​Camps are subject to cancellation due to lack of interest. 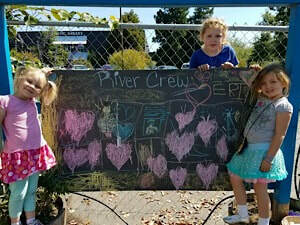 Please email River Crew Team Leader Alex at rivercrew@rivermontessoricharter.org or call her at (707) 778-6414 ext. 13 with any questions. We can't wait to have all of you join us -- for a few days, weeks, or the whole Spring Break and/or Summer Break! ​Please turn in your Registration Form﻿ and payment to the school office. Thank you!